When Jessica Neal transferred from Winlock to Timberline High School three years ago, two numbers immediately stood out. The first was the increased volume of students in her new surroundings, something the incoming sophomore was not initially prepared for. It wasn’t too long before she eventually figured things out and settled right into being a Blazer. Now, she is ready to tackle the second number – 5 foot, 8 inches. That height is significant to the senior because it represents the Timberline track program’s girls high jump record. Neal is a three-time state placer in the event, earning a fifth at Winlock as a freshman before posting back-to-back fourth-place finishes at the 3A state meet the past two years, and is already one of the all-time greats in the event at her school. A school record combined with a state championship would certainly be a fitting ending to Neal’s high school career. 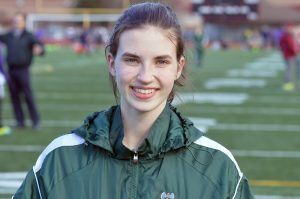 They are two accomplishments Timberline track and field coach Todd Taylor believes she is more than capable of achieving. “She legitimately has a great chance of hitting 5-8,” said Taylor. Not 30 minutes after Taylor made the remark, Neal competed in her first high jump event in 2019 and proceeded to support her coach’s statement by clearing 5-6 to match her own personal record. 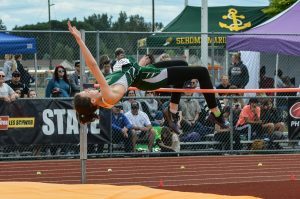 Her winning jump at the South Sound Jamboree was a gaudy 10 inches higher than any other competitor at the meet and currently ranks as the top jump in the 3A classification this season, giving an already confident Neal just a touch more self-assurance as she heads into the her final campaign as a Blazer. Neal’s journey toward a potential Timberline school record actually started at Winlock Middle School where she received minimal coaching in the event, simply being told “run in a J and jump.” She did as she was instructed and – even though the directions were vague – she excelled immediately at the event. Neal registered a season-best 5-4 during her freshman season before being the only member of the Cardinals girls team to advance to the state meet. A move to Lacey followed that summer. 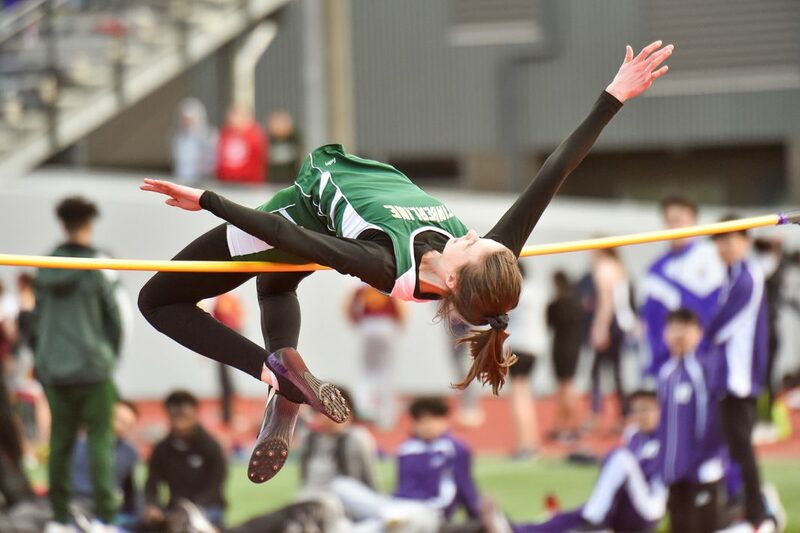 While her classmates may not have known about her previous success in the high jump at the time, Taylor was well aware he had a potential star on his roster. Neal excelled under Taylor’s watch. She posted a fourth-place finish as a sophomore at state in 2017, clearing 5-2, and duplicated the finish last year after jumping 5-4. Neal has hit 5-8 a handful of times at practice. Now all that remains is clearing it at a meet. Whether she does that or not will have no effect on where she jumps next year as she has already received a scholarship to Western Washington University. 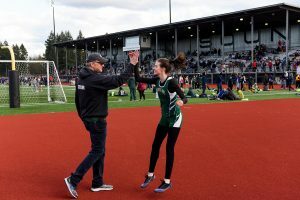 It was at last year’s district championship where Neal caught the attention of the WWU track and field coaching staff, who quickly sought out Taylor following Neal’s district title triumph.